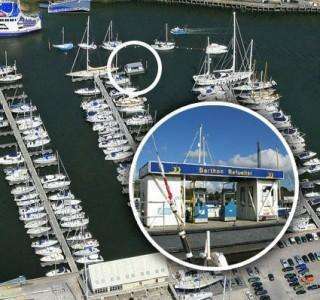 The Lymington Marina Refueller is conveniently located close to the main Lymington River channel, on the end of C-Pier, opposite the Wightlink Ferry terminal. 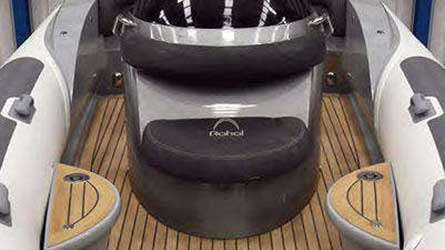 This allows easy access for boats of all sizes to come alongside with no tight manoeuvres required. (On the ebb tide it is essential to approach by heading up river to stem the current.) The yacht refueller is open for service daily from 08:15. Closing time varies according to season. At busy times one of our attendants will be present. If not, they can be easily contacted at the Dockmasters office, either on VHF Ch80, or by using the phone on the refueller. Please call 01590 647405 for the current marine diesel prices. In addition to the pump price, additional HMRC duty will be applied. The full rate will be clearly indicated on the pumps. The amount of duty charged can be adjusted according to intended usage, provided that the skipper declares this BEFORE filling commences. This must be done on a declaration form (see the form download below). Annual bertholders may make a single declaration provided they agree to inform us of any changes. 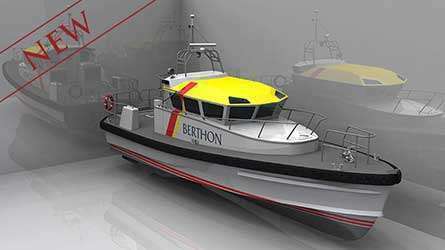 When is the Berthon refueller open? Can I claim a higher % for ‘non-propulsion? My boat is coded for charter, can I claim all my diesel duty free? Can I change my declared %? I am VAT registered and normally claim VAT paid on fuel as incoming VAT, is there any change? 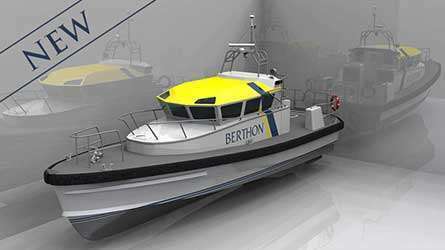 Is fuel used for sea trials and demonstration ‘exempt’? Why is additional duty added to the price shown on the pump? Walk out of the main marina entrance and turn right, within 2 minutes you will be at the town quay, from where it’s a short walk up the cobbles to the High Street. 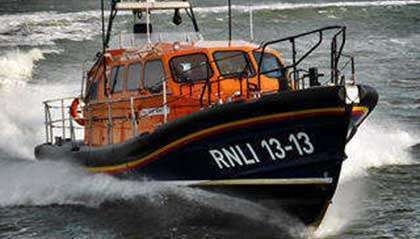 The full rate of duty is to be applied to fuel used for ‘the purposes of navigation’ (which has been reflected in UK law as ‘fuel for propelling’ of private pleasure craft. Red diesel at the rebated rate of duty can be applied for domestic purposes aboard a boat such as heating, lighting, electricity generation, refrigeration, air conditioning or hot water. Customers purchasing fuel will be required to make a declaration about their fuel usage. Accordingly, HMRC have indicated that a 60/40% split (propulsion / domestic use) will apply to most private pleasure craft. However, it is quite clear that some boats, such as a diesel powered RIB, could not opt for this split! Commercial, safety and residential boats can claim exemption, but be aware that most charter boats are used for leisure purposes and as such the duty is chargeable. Yes, however unless you operate a boat sales business this is likely to be a small amount and probably adequately covered by the 60/40 split. The basic rule is tax is payable on fuel used for recreational uses. HMRC accept that most private craft use diesel for heating/generating etc and have suggested a 60/40 split will apply to most owners. Whilst arguments about who should pay what will continue for a while this 60/40 split is quite generous and we expect most boat owners will accept this figure. At Berthon we will offer advice where we can but the responsibility for a correct declaration is yours. No, you probably already have to calculate VAT reclaimable based on use e.g. private/charter. Red diesel has 5% VAT charged and if you pay the additional 43p/litre this also includes 5% VAT. Yes, each time you fill up you can declare the % used for propulsion, remember though you cannot change the declaration once made. If the vessel is used exclusively for charter or passenger carrying you can use fuel duty free, but any private use will attract the higher excise duty. A properly completed ships log can be used to calculate the breakdown between ‘commercial’ and ‘private’ use and in conjunction with fuel receipts used to work out how much to declare. HMRC have indicated that a 60/40% split will apply to most private pleasure craft but if you wish to claim a different percentage (commercial, safety and residential boats can claim exemption) you may do so but we recommend that you maintain proper records of use. Where are winter layup and boatyard rates? 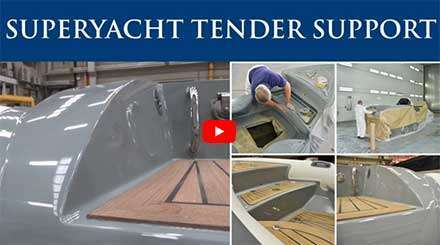 Where can I find out about yacht refitting? Where can I find out about yacht paint spraying? Have you got a fresh water hose? Hoses are available at the Dockmasters’ office. Ice is available from the Dockmasters’ office. WiFi is freely available to all marina clients. 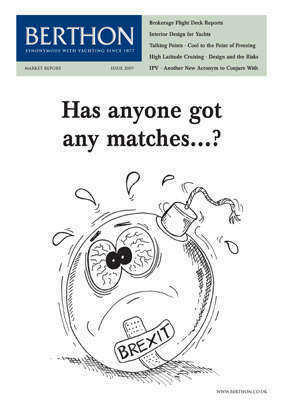 Ask the Dockmasters for more details. Where do I put rubbish? Please use the large grey bins sited in the marina car park for general rubbish. Sited on the car park between C and D piers. We have a skip in the yard – please ask the Dockmasters. A waste oil disposal tank is situated behind the marina building. Available at a small environmental charge – ask the Dockmasters. We’re afraid we are no longer able to take flares. These should be disposed of at the local police station or taken to Lee on Solent Coastguard by appointment. Foreign gas bottles cannot be accepted. Showers and washroom facilities are on the first floor of the marina building. Climb the first set of stairs by the Dockmasters’ Office, turn right along the balcony and they’re on the right. Does Berthon Lymington Marina have a launderette? The laundrette is on the ground floor behind the Dockmaster’s office. Ask the Dockmasters for tokens for the washing machine and dryer. You will also find an ironing board. How do we report to Customs? For reporting your arrival from outside the EU, please call +44(0)2380 820140 or click the small link to download the C1331 form from the HMRC website. What are the Lymington Marina office opening hours? What VHF channel can we call the marina on? Contact Lymington Marina on VHF Channel 80, call sign: Berthon Lymington Marina. Where can I find Solent Tide and Weather Information? Click the links for tidal projections for Lymington River as well as wind and weather information. 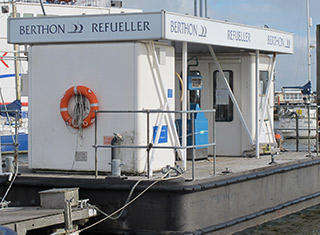 We have a floating refueller sited on the end of C pontoon open daily from 08:15. Closing time varies according to season. Where’s the nearest pub with a beer garden? The Mayflower Pub has a large beer garden and is just a short walk from the marina: 01590 672160. 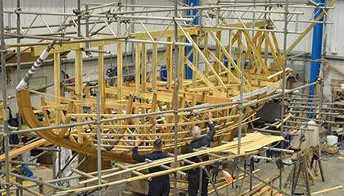 Turn left onto Bath Road when leaving Berthon, and you’ll find the Mayflower on the left after a five minute walk. 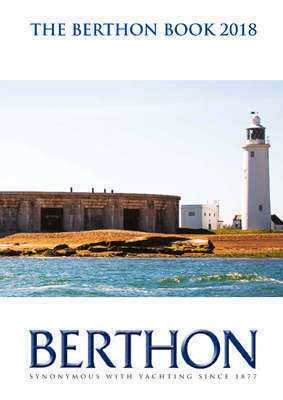 Alternatively, click here to view Berthon’s Essential Guide, with practical information included about the town, as well as interesting things to do in the surrounding area. What are the opening and serving times for the Lymington Town Sailing Club? What are the opening and serving times for the Royal Lymington Yacht Club? 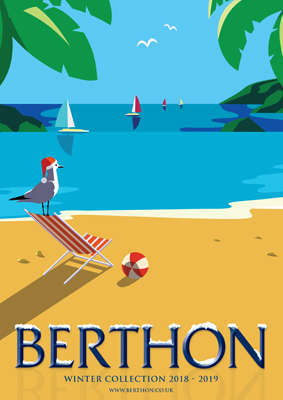 Click on the link below to view Berthon’s Essential Guide with some pubs and restaurants in Lymington and the surrounding area, including some of our clients’ favourite haunts. Where is the emergency equipment? Powder fire extinguishers are located at two points on each pier together with portable safety ladders. The fire assembly point is in the car park by the ramp to D pier. How do I get to casualty? Lymington Hospital has a Minor Injury Unit which is open from 8am to 9pm daily. Outside of these hours, Bournemouth or Southampton hospitals have Accident and Emergency facilities. Where is the nearest doctor in Lymington? The Barbe Museum and the Lymington Tourist Information Office are situated in the same building in New Street, a one-way road leading East off the High Street between Boots the Chemist and Costa Coffee. Where is the Lymington Tourist Information Office? Lymington Tourist Information Office and the St Barbe Museum are situated in the same building in New Street, a one-way road leading East off the High Street between Boots the Chemist and Costa Coffee. Click the link for a map. Have you got the number for a local taxi firm? Lymington Taxis can be contacted at 01590 688888. Click the link for a list of other local taxi firms. How do I get to the Wightlink Ferry terminal? Wightlink can be contacted at 0870 582 7744. Click the link for a map showing the location of the ferry terminal. When does the open top tourist bus run and from where? The open top tourist bus makes a circular trip of the New Forest National Park and departs from the High Street opposite the main Post Office, near Lymington Church. The round trip lasts for about 2 hours and you can get on and off at any point along the route. Why not visit Lyndhurst and the New Forest Museum, or stop at Brockenhurst or Beaulieu for a cup of tea along the way? Which day is market day and what time does the market close? On Saturdays Lymington has a lively and popular outdoor market, which starts at 07:30 and continues until late in the afternoon. This outdoor market stretches all the way up the High Street and sometimes packs up a little early depending on the weather. It’s easy to stay longer than you planned and if you’re a visitor don’t forget to let us know in the office if you would like an extended stay! Where are the best walks with my dog? Go out of the marina and turn left, walk past the Royal Lymington Yacht Club and along the sea wall for some spectacular walks along the marshes. Feel free to ask the Dockmasters for further information. Is there a public slipway? Bath Road (turn left onto the road running past the entrance to Berthon) leads to a large carpark in which you’ll find both yacht clubs, the RNLI building and the public slipway. Fees for using the slipway are payable to the Harbour Authorities. Where is the nearest chandlery? Bath Road, 01590 673 698. A short walk across the road. King’s Saltern Road, 01590 673489. Half a mile from the marina. Admirals Court, Quay Road, 01590 672 784. Within 5 mins of the marina. Where can I get milk or a paper on Sunday? All of the supermarkets are open on Sunday, as is Nick Cox Chandler which has a small convenience store and off license. Click to view a map showing all chandlers and supermarkets.